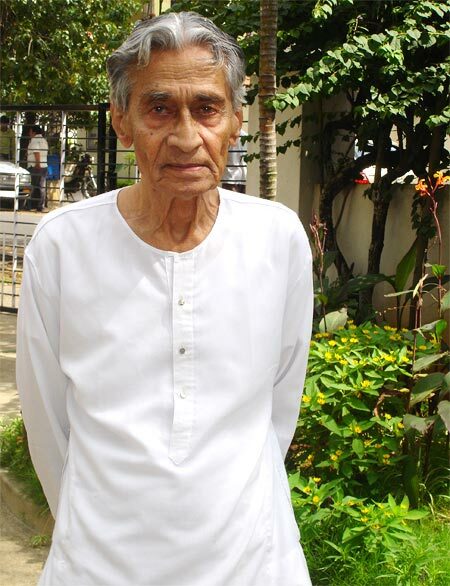 Noted cinematographer V K Murthy, who worked in most of Guru Dutt's brilliant classics like Pyaasa, Kaagaz Ke Phool and Sahib, Bibi Aur Ghulam, passed away today, April 7. He was 91. We bring back an interview with Murthy, published in November 2011. From his home town of Mysore to the klieg lights of Mumbai, it's been a long and eventful journey for Dada Saheb Phalke Award-winning cinematographer V K Murthy. He tells his rags-to-riches and obscurity-to-fame story that sometimes resembles the commercial pot-boilers the industry he loves is famous for. My desire to become famous made me consider cinema as a profession. I noticed when I was just 10 years old, that people knew about film stars but not the nation's prime minister! That's when I decided to work in films. I looked on it as my passport to fame. My intention of working in films became rock solid after I saw an advertisement announcing cinema courses in a Mumbai college. I was in the class 10 then. I discontinued my education, lied at home, and travelled to Bangalore from my home in Mysore with just Rs 80. I met Sreenivasan in Bangalore, who was my neighbour in Mysore. He gave me some money and encouraged me to go to Mumbai. In Mumbai, I stayed with a relative. I didn't get admission in the college so I decided to find work in the studios, but I wasn't allowed to get beyond the gates. Seeing my perseverance, my relative in Mumbai took me to Saraswathi Cinetones, a studio in Pune. I was employed there as the cameraman's assistant. Of course, I was kept at least ten feet away from the camera! Things were not working out so I returned to Mysore to complete the 10th standard. My cinema dreams took flight yet again after Sri Jayachamarajendra Polytechnic (SJP) College in Bangalore started offering cinema-related courses. There was a beeline for admission as the glamour of cinema attracted many. I was rejected initially but I argued that I had work experience and, impressed with my Pune stint, the college superintendent offered me a seat. But a shock followed: even though the advertisement had mentioned scholarships, I was asked to cough up Rs 60! I rushed to Sreenivasan asked him to find me a part-time job. The fact that I was so near to my dream and yet so far made me cry. That was the first time I cried. Even my father's death had not made me shed tears. Sreenivasan calmed me down, gave me the money and I joined the course. Now I had to find somewhere to live and finally a friend from Mysore offered to share his room with me. But I had to fend for myself as far as food was concerned. My friend took me to the college hostel for a Ganesha celebration and since I played the violin he asked me to give a recital to entertain the crowd. So impressed were the hostel authorities, that they decided to offer me free lunch every day starting from that very day! My music also earned me a place in Bharatanatyam dancer Ramgopal's team of musicians. I was offered Rs 250 a month, and took up the offer. I was with the team for six months and it's another matter that I didn't get paid a single penny. But what the assignment did was something even better. It brought me in contact with Mohan Sehgal, a dancer who had contacts in Mumbai filmdom. Through him I later got a chance to play the violin for a song in a film. So my first tryst with films was through music. My music made me popular in college and helped me to pass the first year of college. The cinematography paper, however, had some mathematical concepts that were beyond me. So I asked my lecturer for the exam paper and because he was fond of me, he gave me the questions! I took them to my roommate who solved them for me; I learnt the sums by heart and wrote the exam the next day. The second year of college meant an internship and since studios were located only in Chennai and Mumbai, I went to Mumbai where I had a relative. My work impressed the studio people and they wanted me to begin working for them immediately, but I insisted on finishing my exams before starting work. My first assignment was that of fourth assistant. In two months I became the first assistant. This was for the film Maharanaprathap. 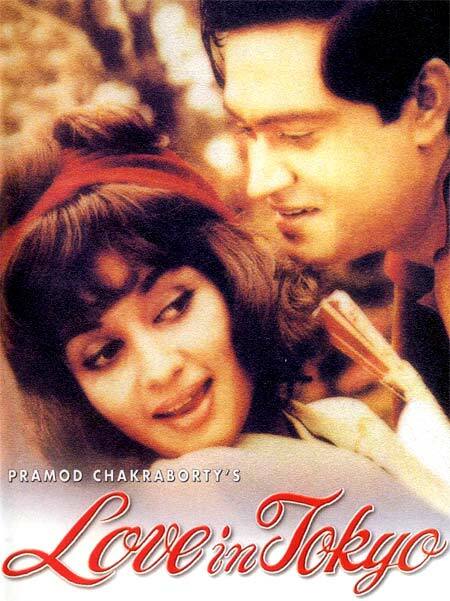 But ever since I saw Amrapalli I had wanted to work with cinematographer Fali Mistry. Almost immediately, my prayers were answered as Mistry was looking for an assistant. He sent for me and asked me to join him. It was a Sunday and his assistants were on leave. I thus worked from morning till evening. At the end of the day he said, 'You are my 24th and best assistant.' I went on to work with him for four years. 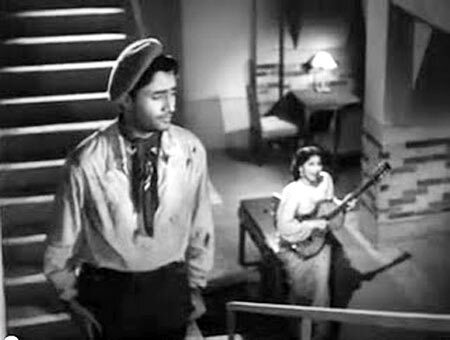 I met actor-director Guru Dutt when I was shooting with Mistry for a film. I suggested a shot to him for Baazi. Impressed with my technical and aesthetic sense, he asked me to join him. The personal and professional relationship that started then lasted till his death. 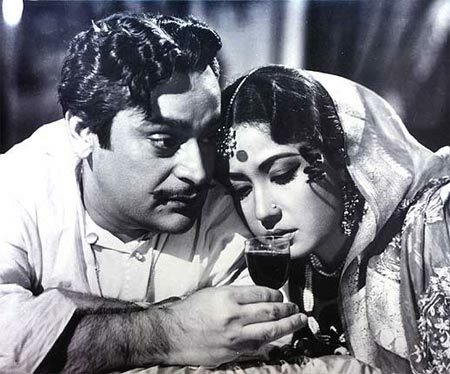 We worked in landmark films such as Sahib Biwi Aur Ghulam, Kaagaz Ke Phool and Pyaasa. I admired his working style and decided to stick to his team for the rest of my life. When he passed away, I asked myself what next? My association with him was very friendly. He took my suggestions seriously and I always made it a point to be honest with him. Guru Dutt called me a purist. He was appalled that I didn't drink. I played host at all his parties but stayed away from liquor. Despite being so popular and rich, he always valued time and money. He remained grounded as he remembered his path to success. He started as a dance director and went on to become one of the best actor-directors in the industry. I liked him better as a director. He was very professional and creative. I curse myself for starting the shift system! It was the professionalism that I learnt from Guru Dutt that made me think of the shift system. Actors were arriving late on the sets and I was particular about time management. So I suggested that we shoot in shifts so that people come at a certain time and leave at a certain time. That's how the 11 to 2 shift and 2 to 10 shift came about. But actors took advantage of this system and started shooting for two films simultaneously, further adding to delays and unprofessionalism. I was particular about punctuality and rehearsals before shots. Once Jeetendra counter-questioned me about the need for a rehearsal and I insisted that I would roll the camera only after a rehearsal. He apologised, rehearsed, and then gave the shot. There was a time when actors respected cameramen. Now cinematographers need to salute actors. People are after money. Passion and commitment to quality cinema is fast dying. Most heroines wanted to be in my good books as I made them look beautiful. But I believed in professionalism. I limited my conversations with them to exchanging pleasantries. 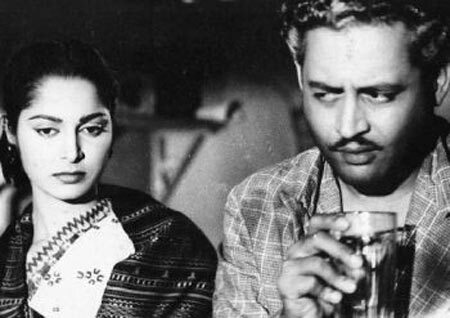 My maximum interactions have been with Waheeda Rahman as Guru Dutt was the one who introduced her to me. She was highly respectful and cultured. I had spent so many years in the Hindi film industry that I didn't feel like shifting down South. Hindi films was where the visibility was. I did a Kannada film Hoovu Hannu and that's about it. I am often asked why I didn't do more Kannada films being a Kannadiga. I want to ask why no one approached me from that industry. Anyway, the Hindi industry then had the best of directors and I chose to stay there. For heroines, though, the Tamil industry was more lucrative. Tamil producers paid well and so they readily gave their dates to them. 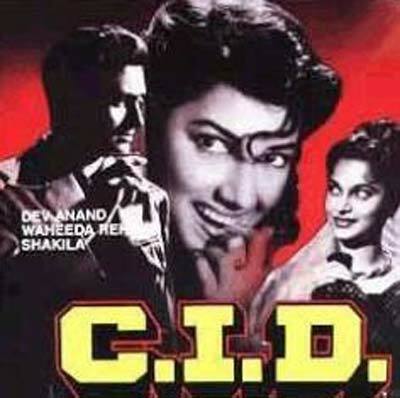 After Guru Dutt passed away, it became difficult for me to find directors of his calibre. I did work with Govind Nihalini, Shyam Benegal and Pramod Chakravarthy. By then the TV serial culture had taken over. I felt people won't remember you for your work in this medium. 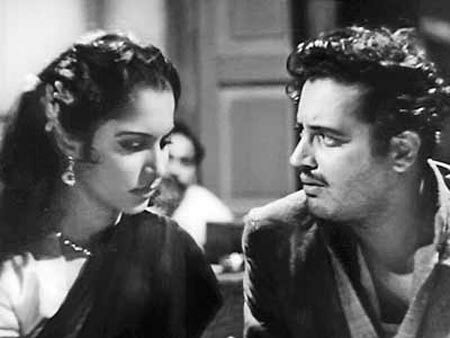 Even to this day, Guru Dutt's films are spoken about and I would rather remain associated with such classics. The death of my wife, who was taking care of our differently-abled daughter, also forced me to take retirement. I moved back to Bangalore a satisfied man. These days I limit my association with cinema to cinematography workshops. Awards don't fetch you films, so they mean little to me.